God has saved her and she has lived long. The first two invocations of the National Anthem have been and are still being fulfilled. Her Majesty The Queen’s 90th Birthday is a cause of national celebration and personal joy. It is also a time for reflection and gratitude. 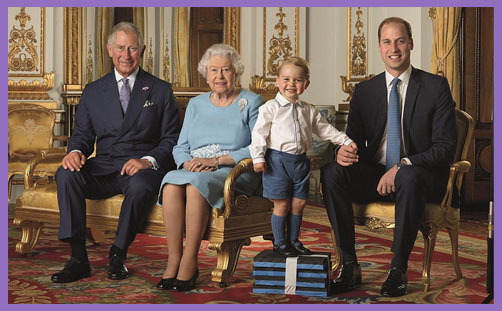 Never in the history of British Monarchy has one reigned so old or so long. Nor, perhaps, has one seen so much social change and sweeping transition, at least in the absence of war and glorious revolution. And rarely has one been so devoted to Christ in the service of peace and reconciliation. The Prince of Peace is an anchor; Christ’s example has taught… ‘The fear of the LORD prolongeth days: but the years of the wicked shall be shortened’ (Prov 10:27). Would that this were always so. But God’s wisdom is not ours: His ways are higher. In an age which seeks to over-analyse and reduce everything to atomistic sequences and selfish motives, thank God that we have a Head of State and Supreme Governor whose disposition is to consider the affairs and attitudes of man, and to disclose the virtues and beatitudes of Jesus. She is, in totality, an incarnate Christian mission who radiates dews of peace and the wonder, love and fragrance of Christ. Happy Birthday, Ma’am. God Save The Queen.